When we said, “yes” to God’s call for our family, we knew our decision meant we would need to raise 100% of the finances for our family and the church plant. We need committed financial donors to invest in us as we invest in the immigrants of Jackson Heights. We are committed to allowing the vision and mission of this church plant to fully guide our stewardship of these resources. Below is a diagram that presents various levels of monthly giving. We are seeking people, churches, and businesses to commit to a monthly or annual donation. A more detailed budget is available upon request. All donations are tax-deductible. 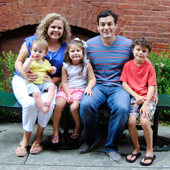 Will you prayerfully consider helping to provide for our family and the church plant? 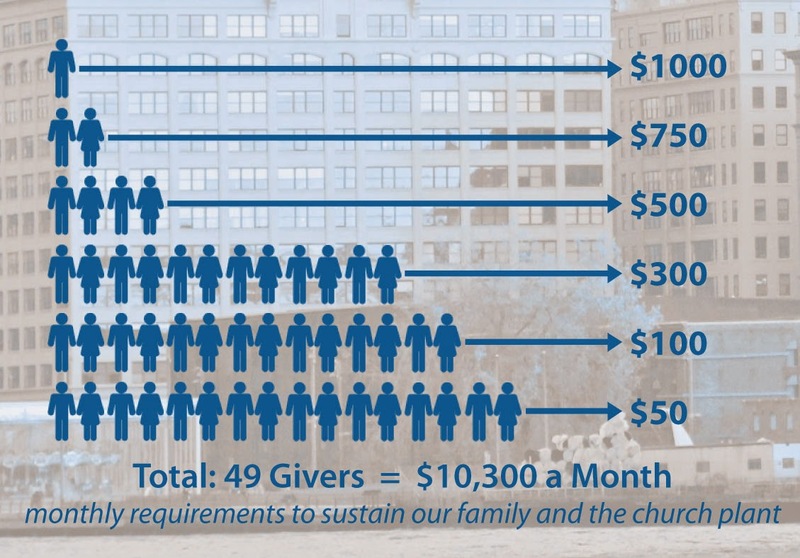 Our monthly goal is $10,300 which will sustain our family, as well as the church plant. As you probably know, the cost of living in New York City is expensive. Click here for a Cost of Living Comparison Calculator. Simply enter your current city and then put New York City as the city "you want to live in". We also have a Launch Fund that we need to raise before we move to New York City. The Launch Fund will allow us to acquire an apartment and pay our relocation expenses. Our Launch Fund is $16,000. Our Sending Church, Heritage Baptist Church, will handle the collection of our finances. All contributions given before our move to New York City will be added to our Launch Fund. You can give online using the button below. 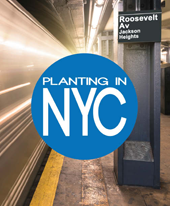 Please select New York Church Plant under the "Select a Fund" menu for monthly, annual, and Launch Fund giving. If you would like to set up a recurring contribution, please "Create an Account" and use the "Frequency" menu. If you have any problems, please contact us at bishopadventure@gmail.com or 334.430.3901. Thank you so much for your support!! Please add "New York Church Plant" to the memo line of your check. If you have any problems, please contact us at bishopadventure@gmail.com or 334.430.3901. Thank you so much for your support! !